After a whirlwind afternoon of many phone calls, endless emails, and long meetings, Jordi popped off his tie and sat down for a black coffee in a brick-walled Barcelona café. The soon-to-be 30-year-old founder and CTO is sunken into a chair, ready to share with me—and the world—an overview of Hashlider’s history and see a glimpse of what the future is holding for them. Jordi, let’s just start off by asking you about the beginning. What inspired you to start your company? How did you turn that idea into a reality? How was the journey to get your company to where it is now? What was that first version like? So, you have the raw version and you’re out school. What happened next? “Once I was done with school, I had to decide whether if I was going to go 100% with Hashslider, or if I was going to seek for a regular job in a big company. After giving it a lot of thought, I decided I’d try to balance both things, so I started working in an IT Norwegian company, while I was still working with Hashslider on the side. During my time in this company, I was surrounded by some amazing coworkers in the IT sector, which allowed me to grow professionally, to later apply all this knowledge to take Hashslider to the next level. Every single spare second I had, I worked on improving the old features and also coming up with new and better ones for the app. After almost two years, things finally started picking up as the number of users kept growing and growing non-stop. 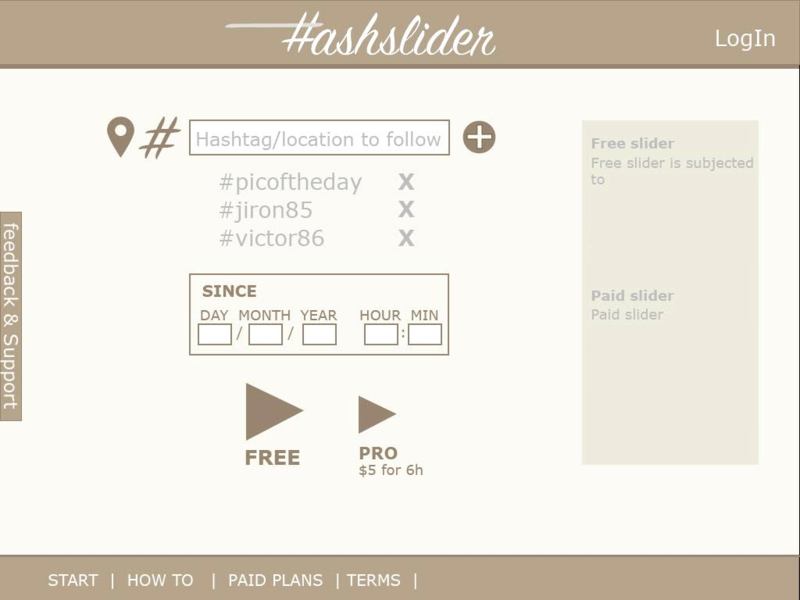 That’s when I finally decided to leave the company and work full time with Hashslider. And throughout that journey, which was the biggest challenge you faced? How did you overcome it? “Well, I can’t really think of one “big challenge”. But don’t get me wrong, it isn’t because there hasn’t been any! It is the exact opposite of that. Every day is a new thing, a new challenge that we have to sort out and learn how to overcome. It can be overwhelming from time to time, but it is also very, very fulfilling. “Right now, our full time permanent work force is composed by a very small group of people. 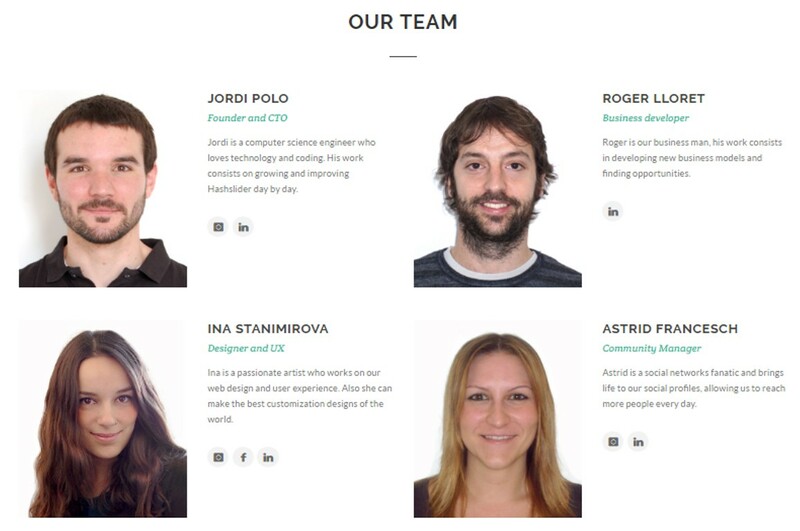 We are a small team of 4 men and women, complemented by the hard work of many freelancers. Roger was, and still is, my right hand for the business development. He and I met in Schibsted, a company we both worked for, and since then, he’s been a valuable part of our team. Ina is a magnificent web designer who is responsible for everything related to user experience and customized designs for the app. Astrid is a social media junkie and, therefore, our community manager. She’s the perfect person for the job. And finally, there’s our freelancers, whom handle multiple task that go from SEO, to SEM, to marketing, to web layouts, to many different commercial tasks. And finally, Jordi, where do you see Hashslider in 5 years?